The Reach3 App platform brings business and customer insights to an iPad based enterprise platform. 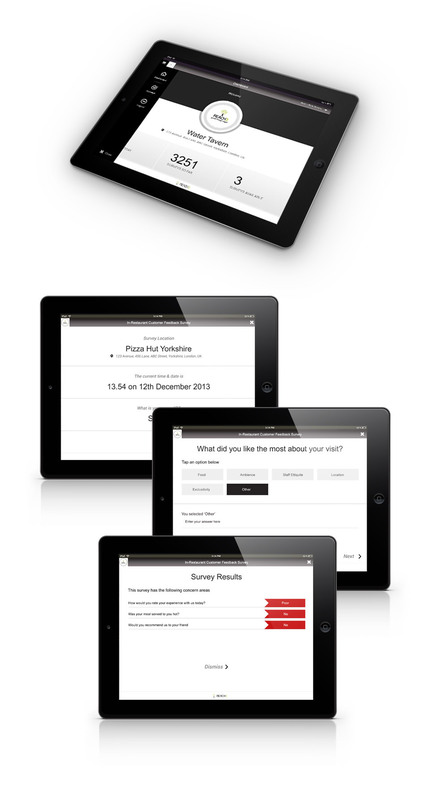 Clients of Reach3, a Dubai & UK based consultation firm, receive native iPad apps deployed on their devices which contain extensive, rich surveys with multiple question types. These surveys can then be used to by customers of the client or in house teams to conducts audits. The data is stored locally on the app till a wi-fi zone becomes available, at which point, all the information is synced to the cloud backend for automatic processing. In parallel, Clients can log on to the cloud backend to review customer surveys and audits created for their use by the Reach3 team. The cloud backend is a SAAS application that harvests this data and converts it to rich graphical insights which are critical to gauge the performance of a client's business. The app is completely customised to a clients specific needs with a range of dynamic question types, linked questions, staff information and most importantly, critical flags which fire off communication mails to provided email addresses in the event a threshold is reached.